Since it’s World AIDS Day, I thought I would feature a couple candles that contribute to treating and/or eliminating the disease. Then there’s Elton John, who is famous for raising funds and bringing attention to AIDS. 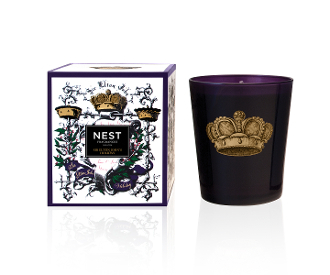 His latest candle is Sir Elton John’s Holiday Candle, sold through NEST fragrances. It’s a blend of evergreen needles, balsam and citrus. Find it in specialty stores like Bergdorf Goodman and Neiman Marcus. 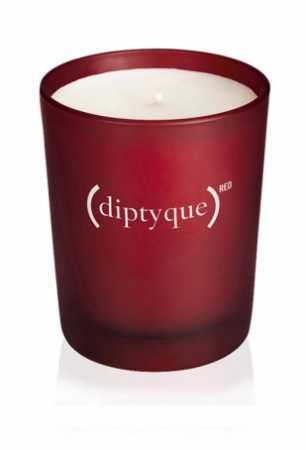 It’s also online at CandlesOffMain.com. Besides contributing financially (or instead of), we can all help fight prejudice against AIDS, raise awareness and help others. Join a candle light vigil, wear a red ribbon and learn more from others. World AIDS Day helps highlight these things, but ideally we’ll do something all year long.